We provide affordable commercial HVAC services in NJ. We are local and can serve you quickly, usually within 45 minutes. Warranty and a 100% Satisfaction Guarantee come with every job as we put you and your business as our first priority! We answer the phone day and night! Whether your business is an office building, store front, restaurant, or warehouse, you can depend on All Done Heating & Air Conditioning when it comes to HVAC service and HVAC repair. We’re experts in commercial HVAC NJ contractor, providing ongoing service partnerships for regular maintenance of your HVAC equipment. Routine maintenance by All Done Heating & Air Conditioning will keep your HVAC system operating at peak performance, saving you money while keeping your workplace comfortable. All Done Heating & Air Conditioning is the expert commercial HVAC contractor for Morris, Union, Somerset, Union, Essex, Bergen & Hudson County New Jersey. 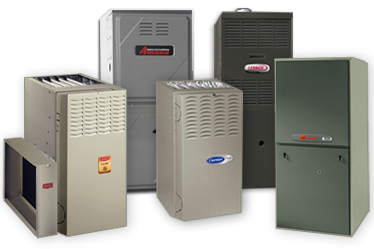 We have the parts and know-how to service and repair all types of commercial HVAC systems. All Done Heating & Air Conditioning is on call 24 hours a day for all your commercial HVAC repair and service needs. We are NJ commercial HVAC experts, with experience servicing commercial, industrial, and residential heating and air conditioning units. You can count on our expertise to maintain and repair your commercial HVAC system, keeping you, your workers, and your customers comfortable no matter what the weather. All Done Heating & Air Conditioning is on call 24 hours a day for all your commercial HVAC needs. All Done Heating & Air Conditioning has the higher level of expertise required for commercial HVAC repair and service. Commercial HVAC systems, while operating on the same basic principles as residential heating and cooling systems, are much more complex. Not only is commercial HVAC equipment much larger; it also handles more intense use and typically, much heavier heating and cooling loads than the heating & cooling equipment in your home. Commercial HVAC systems tend to also be more complex in setup. Commercial HVAC can have many zone systems to meet the unique demands of your business type. Restaurants, for example, will have a higher cooling load in the kitchen. You can enjoy the New Jersey seasons in your workplace in a stable cooling and heating environment with service from All Done Heating & Air Conditioning. All Done Heating & Air Conditioning’s service professionals are trained and certified in commercial HVAC repair. They will arrive in a well-stocked service vehicle ready to make any needed repair quickly, to minimize disruption to your building or business. Using a variety of diagnostic tools, our pros will quickly identify the source of your HVAC issue, provide you with an up-front estimate, and get to work solving the problem. They will take care to avoid getting in the way of employees and customers, make needed repairs quickly, and clean up when the job is done. Do you know the age of your business’ current HVAC system, or how much it costs to operate? You should, because your commercial HVAC system and its cost of operation represents a significant cost for your business. All Done Heating & Air Conditioning can perform a complete equipment & building survey and provide a comprehensive analysis of your system’s condition and efficiency. Commercial HVAC systems are complex. If you have aging, inefficient equipment, we can work with you to develop a plan to replace your system with a new commercial HVAC installation. This will allow you to get ahead of the curve in managing replacement costs – and avoid the business disruption of a complete system failure. We can replace any commercial HVAC system and will help you select the equipment that best fits the needs of your business. Whether you need NJ commercial HVAC repair, regular NJ commercial HVAC maintenance, or a full NJ commercial HVAC installation, All Done Heating & Air Conditioning has the expertise to solve your commercial HVAC problems. Our 24 hour commercial New Jersey HVAC repair, maintenance, and replacement services are just a phone call away.